Kitomba’s Xero integration is here and is being rolled out over the next couple of weeks! If you have Kitomba’s Platinum or Diamond package, now you can quickly and accurately send your cash drawer reconciliation from Kitomba to Xero. Using Kitomba with Xero means you’ll have the right information in Xero and can use its features like the bank reconciliation, tax reports and profit and loss statement to make running your business easier. 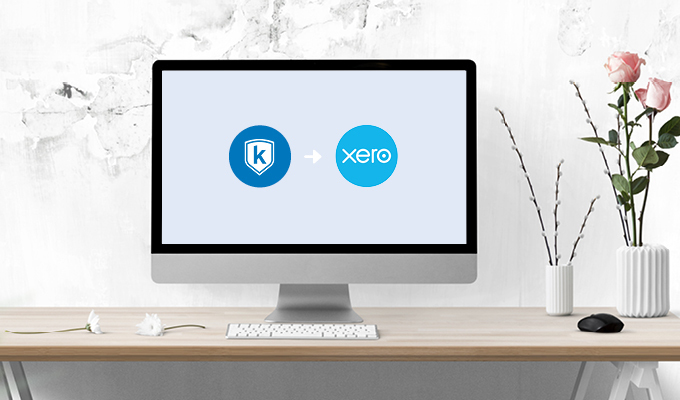 Our Xero integration won’t work for everyone’s business, so we want to ensure you’re fully informed before you start using it. To help you make a decision, here are some questions you may want to consider. Please note, if you’re not experienced with using Xero we recommend asking your accountant, financial advisor or a Xero expert to set up your integration as it can be a little complicated. Your default revenue account in Xero shows your total sales figure for each day. This figure is the total of all payment types linked to a Xero account. It’s added to your default revenue account when your cash drawer reconciliation is sent from Kitomba to Xero. Kitomba has set up a default revenue account called ‘Kitomba Revenue’. Alternatively, you can create or use another account. For more help setting up, visit our support guide. You’ll need to complete a cash drawer reconciliation in Kitomba every business day. Read our support guide for some help if you need assistance. Tip! It’s important to always balance your cash drawer correctly before sending it to Xero so your financial information is accurate. Once you’ve correctly balanced your cash drawer and you’re ready to send it to Xero, click the ‘Finalise and send to Xero’ button. This button is sure to save you time and reduce the risk of manual entry errors. 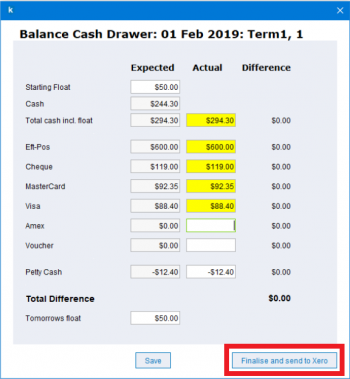 If you run your cash drawer reconciliation multiple times a day, Kitomba’s cash drawer has the flexibility to do this. Just ‘Save’ your reconciliation and only click ‘Finalise and send to Xero’ for the last reconciliation of the day. Reconcile your Kitomba takings against the amounts received into your bank account. It’s important to know that what you’re expecting and what you receive are the same. Xero’s Profit and Loss statement will automatically update with your Kitomba takings. In the Assets section of Xero’s Balance Sheet you’ll see the breakdown of your current assets, including the figures automatically sent from Kitomba. Use Xero’s GST and Provisional tax return reports. 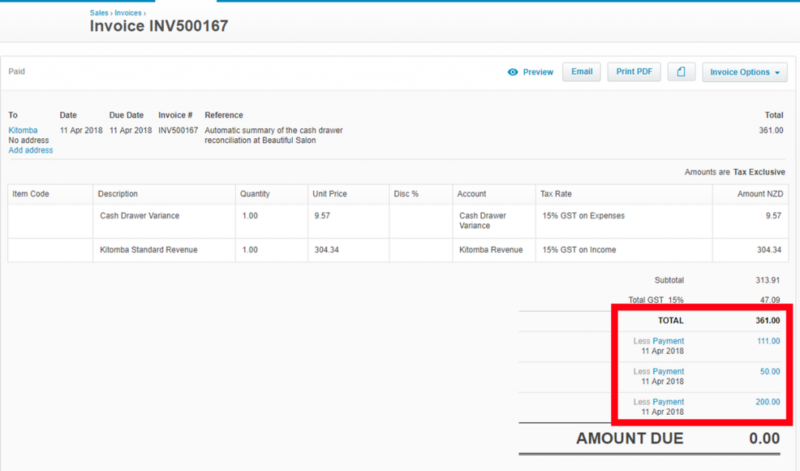 View your total takings in your default revenue account. Check out our support guide for more information on using this feature. The Kitomba support team are here help you set up your Xero integration and understand how to send your cash drawer reconciliation to Xero. We also have lots of support guides and a how to video available, as well as a Kitomba Community page which allows Kitomba customers ask each other questions and provide assistance from their own experience. Our support team is unable to help you with Xero as we aren’t experts when it comes to their software and can’t access your Xero account. For assistance with using Xero, contact Xero, use Xero Central for searchable help or visit their community. Hi Tony, Xero is available in the UK! You can find more information here: https://www.xero.com/uk/pricing/ Thanks!